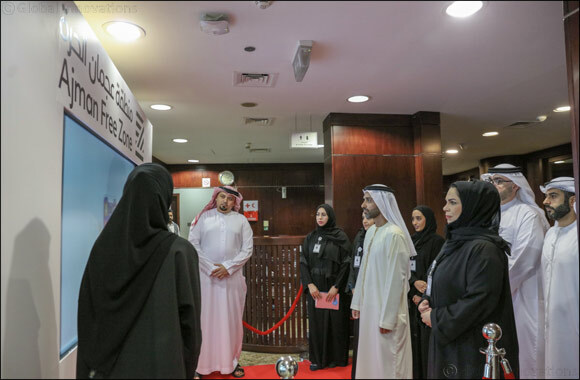 Ajman, UAE (March 2, 2019) - Ajman Free Zone has launched a new and innovative mobile app to make business management easier and faster, at an event attended by Sheikh Ahmed bin Humaid Al Nuaimi, Chairman of the Free Zone. The newly-launched app will reduce the time and effort it takes for business owners to obtain a new licence or to renew a current licence, and to make online payments, amongst other features. The new app will assist the Ajman Free Zone business community to manage their companies via their smart mobile phones. The app boasts a number of features including new licence requests, renewal of the existing licence, notification alerts and safe payment processes. The introduction of it follows the launch of a revamped and user-friendly website at the end of last year aimed at enhancing the users’ experience, and it forms part of a larger endeavor by Ajman Free Zone to innovate digital services. At the same event, the Intelligent Electronic Inspection app was launched which will facilitate and improve the efficiency of Ajman Free Zone teams in carrying out field inspections. Both apps “Ajman Free Zone” and the “Intelligent Electronic Inspection” are available on iOS and AppStore platforms.